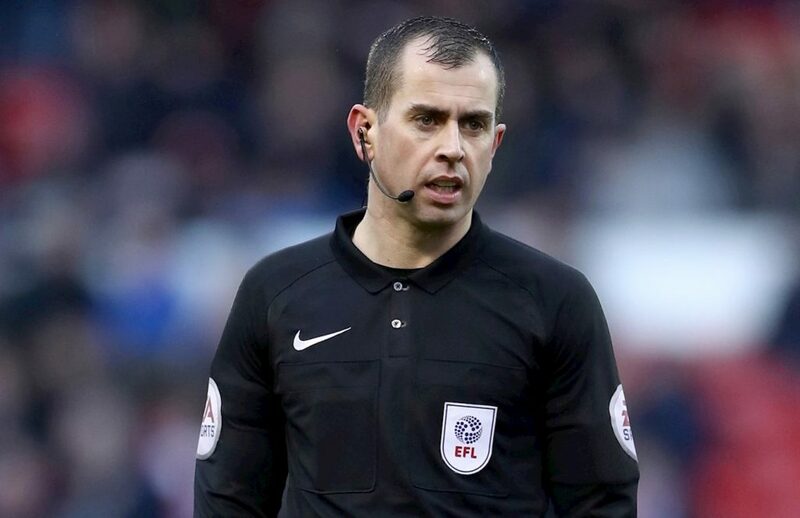 This week’s referee spotlight focuses on Peter Bankes, who was appointed the referee for the Swansea City v Brentford Championship game on Tuesday, 2 April 2019. Referee Bankes was assisted by Mark Russell and Daniel Leach, with Tim Robinson the 4th Official for the game. Bankes started his refereeing career in 1996 at just 14 years of age. By 2014 he had made the EFL’s Referees List, having spent two years as a Select Group Assistant Referee officiating in an FA Cup Semi-Final and National League Play-Off Final during that period. He took charge of his first Championship game during the 2014/15 season, when he was the referee for Middlesbrough’s 2-0 win over Huddersfield Town at the Riverside Stadium in January 2015. So far this season Bankes has been the referee for 24 Championship games, handing out 117 yellow and 2 red cards in total. He averages almost 5 cards per game and has earned a reputation amongst fans for being ‘card happy’. This was the first time that Peter Bankes has officiated a Swansea City game.